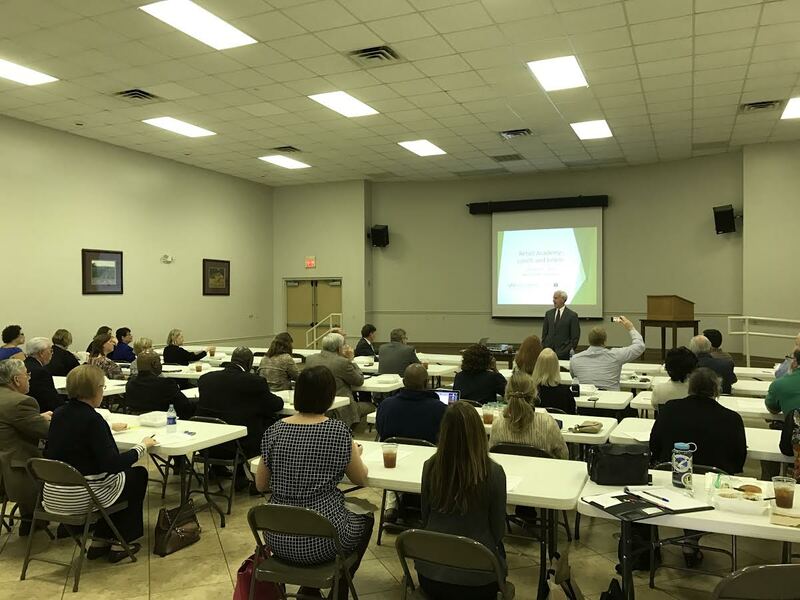 On January 17th, 2017, Coastal Alabama Partnership (CAP) and Coastal Gateway hosted a Retail Academy Lunch and Learn for the elected leadership and economic developers from throughout Alabama U.S. Congressional District 1. This is the second time these two regional organizations have collaborated together to provide information on useful tools to their stakeholders that they may not otherwise be aware of. 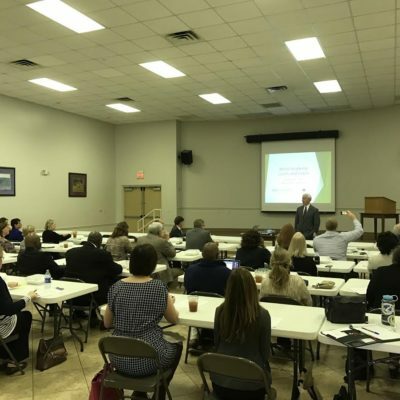 The first event was held in partnership with the U.S. Census Bureau in November 2015. 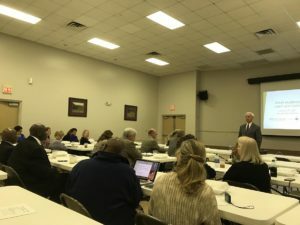 Participants in the January 2017 event included representation from all six counties in District 1 as well as 11 specific communities within those counties. Guest speaker U.S Congress Bradley Byrne opened the luncheon by giving attendees an update on upcoming activities in Washington D.C. and an affirmation of his continued commitment to be an advocate for everyone in his district. In looking at the next four years, Congressman Byrne stated that there is “a very bright future for Southwest Alabama.” The congressman gave a brief overview of what to expect in the next few months from the Nation’s Capitol, including actions on tax reform, repealing the Affordable Care Act, improving national defense and addressing national infrastructure needs. “You have my commitment that I represent everyone in my district” said Congressman Byrne, promising to be the voice on these issues for all of District 1. He invited everyone to join his town meetings in the April 2017 where he plans to give another update on these activities in D.C. 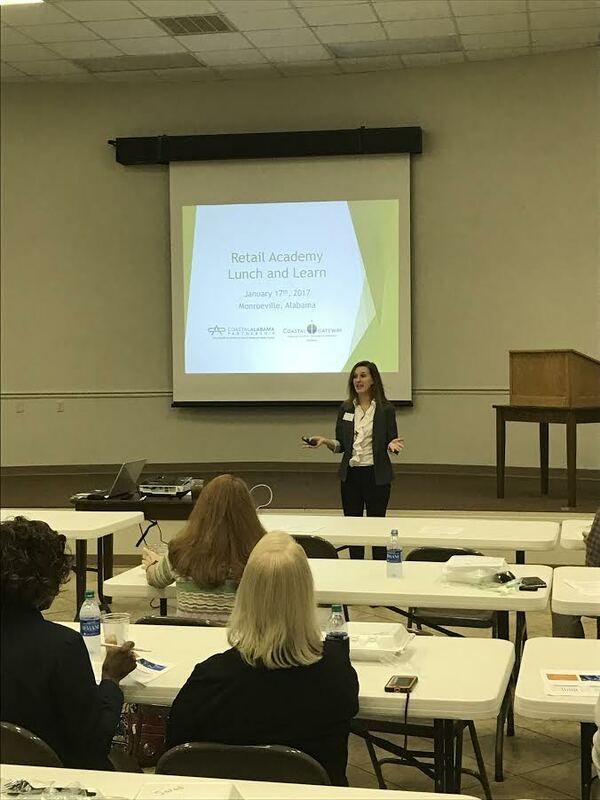 The educational session of the meeting was presented by Laura Hudson, Vice President of Retail Academy for Retail Strategies. 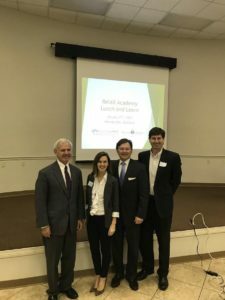 Retail Academy is a program catered specifically to assisting Rural America in attracting new retailers, while providing support to existing local businesses. It was designed to help train and equip individuals in the public sector on how to efficiently and effectively attract new retailers to their markets through educational and interactive workshops. 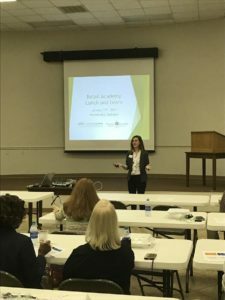 Ms. Hudson provided attendees with information on the Retail Academy Program and how it can assist their communities address the unique obstacles and opportunities smaller communities face as they enhance their retail landscape. Thank you to Coastal Gateway for your sponsorship, U.S. Congressman Bradley Byrne for your participation and the City of Monroeville for hosting us at the Water Tower. We look forward to continuing to work as a region in the future. 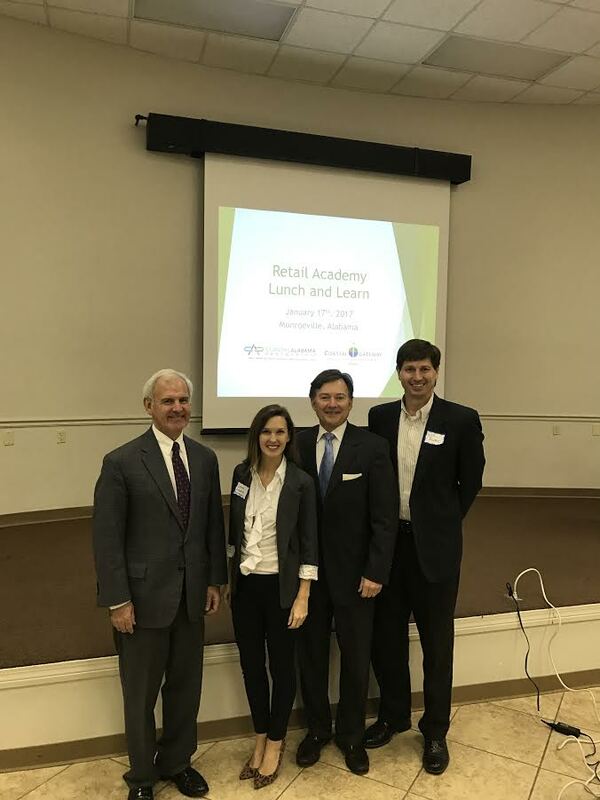 For those interested in more information about Retail Academy, please contact Laura Hudson at laura.hudson@retailstrategies.com.